Winning VA Disability Benefits for Ischemic Heart Disease Ischemic heart disease is a presumptive condition of Agent Orange exposure. Agent Orange is a herbicide which was used in both Vietnam and Korea.. The American Heart Association reports that more than 600,000 people in the U.S. die each year from heart disease. Ischemic heart disease, also known as coronary heart disease and coronary artery disease, is the most common type—and approximately 365,000 people died from it in 2014. Additionally, a heart disease-related death occurs every minute, and someone experiences a heart attack every 42 seconds. With lost work productivity, medication costs, and health care requirements, heart disease costs total over $200 billion every year. 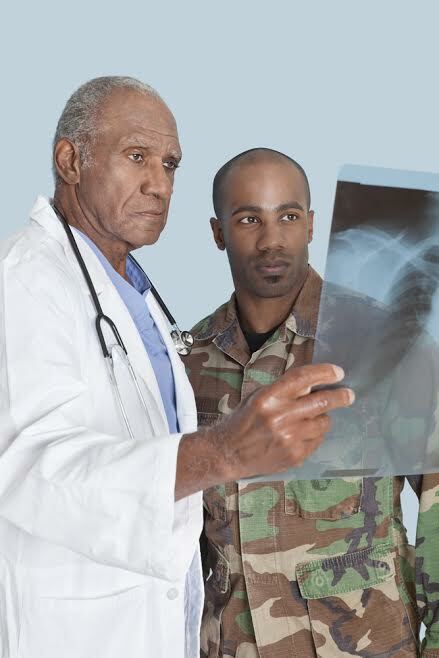 Veterans returning home from military service are often diagnosed with heart disease, including ischemic heart disease. With this condition, they may suffer from chest pain, shortness of breath, fatigue, and other symptoms that make it difficult to lead a normal life. When the heart doesn’t get enough blood due to a build-up of plaque or cholesterol particles on the artery walls, circulation is compromised, and there’s a decrease in the amount of oxygen that makes its way to the heart muscle. Ischemic heart disease is recognized by the United States Department of Veterans Affairs (VA) as a debilitating condition, and if a veteran can provide evidence linking his condition to his military service, he may be eligible for disability.Veterans exposed to Agent Orange while in the service and later develop ischemic heart disease are presemptively service connected. To properly file a claim and provide the correct medical evidence to prove heart disease, it’s often helpful to hire an experienced and skilled disability attorney to help you with your VA application and appeal to ensure you receive the highest possible rating for this condition. For a veteran to be eligible for disability benefits, he must be diagnosed with a heart condition through a valid method recognized by the VA. One of those methods is a metabolic equivalents of task (METS) test. This is also known as a stress test, used to determine someone's heart condition while exercising. A patient may ride a stationary bike or walk on a treadmill, and medical professionals record the heart’s ability to provide oxygen during exercise. Even if the heart disease is service-related, it’s important that your doctor schedule a METS test to provide critical evidence for your claim. He consistently experiences congestive heart failure. He receives 3 METS or less, and he is short of breath, fatigued, and experiences chest pain, dizziness, and/or fainting. He shows left ventricular dysfunction, and the percentage of blood pumped out with each heartbeat is less than 30 percent. Two or more episodes of congestive heart failure during the past year. A score of 4 or 5 METS, and he is short of breath, fatigued, and experiences chest pain, dizziness, and/or fainting. He shows left ventricular dysfunction, and the percentage of blood pumped out with each heartbeat is between 30 – 50 percent. A score of 6 or 7 METS, and he is short of breath, fatigued, and experiences chest pain, dizziness, and/or fainting. His x-ray or electrocardiogram shows evidence of hypertrophy or dilation. A score 8, 9, or 10 METS, and he is short of breath, fatigued, and experiences chest pain, dizziness, and/or fainting. It’s important to note a principle called “probative value.” This means if two exams record the patient’s condition differently, the VA rating is based on the results from the most thorough data and the most qualified person performing the test. Should you need two stress tests or one is inconclusive, this principle may be applied. Additionally, if there are two exams performed equally that show conflicting results, or the patient’s condition can be rated equally using two separate codes, the one that gives the highest rating should be used. If you have ischemic heart disease and want to apply for VA disability, or you’ve applied and your claim was denied, contact Cuddigan Law at 402-933-5405. We’ll schedule an appointment to discuss your eligibility for benefits.